Six things you probably did not know about chocolate, from Todd Masonis of San Francisco's Dandelion Chocolate. 2. 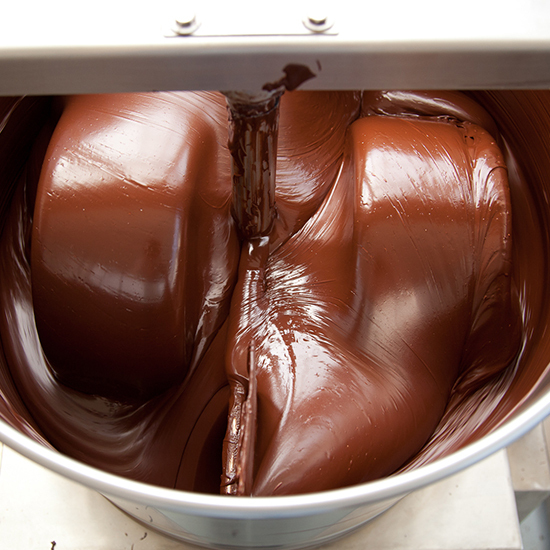 Chocolate can have more flavor complexity than wine OR coffee. That’s because it’s both fermented and roasted. This is serious business. 3. Chocolate is seasonal. The harvests vary, so from one year to the next your favorite bar of Madagascar chocolate can taste pretty different. Todd says that different harvests of the same bean, like Madagascar, often have the same overall flavor but express themselves distinctly each year. For instance, the beans might always taste fruity, but one year you might taste a hint of strawberry whereas the next you might taste cherries. "Since consistency is not one of our stated goals,” he says, "we don't try to remove this variability—we simply put on the label what harvest it is and what we taste." 4. The world of small craft chocolate is very small and very collaborative. They learned from America’s craft breweries that sharing information makes them all better at making chocolate. 5. Hawaii is being positioned as the new Napa Valley of chocolate (as if anyone needed an excuse to visit Hawaii). Todd thinks this is because Hawaii has a lot of interest in eco-tourism and in creating an experience around chocolate that involves going to the farm. Folks in Hawaii see what happened with vineyards becoming tourism destinations, and they would like to do similar things with chocolate. He notes that this is just starting up. 6. To’ak Chocolate currently has the most expensive bar on the market, for about $260. I asked Todd why it’s so expensive: He thinks most craft chocolate bars are underpriced, because people are used to paying for candy and lower quality chocolates. To'ak, he thinks, has put a stake in the ground and tried to decouple their prices from the rest of the market. Thankfully, Dandelion’s delightful bars are only in the $8-$12 Range.